Hold on, this is a WILD ride!!! Our public high school in Austin, TX (L.C. Anderson High School) supports two types of robotics teams: FRC and VEX. Together, we are the "ausTIN CANs", team number 2158. Short version: Both programs are doing AWESOME this year! 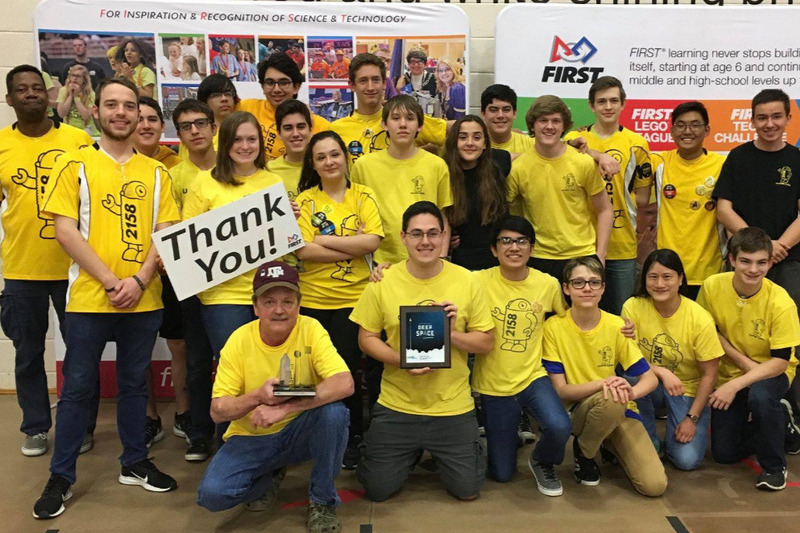 We just found out that our FRC team (of about 30 people) is going to the World Championship Tournament in Houston April 17-20th. It's an amazing opportunity, the team will compete with other students from 60 countries from around the world. Here's a sample mentors and students on the team! In addition, two of our VEX teams (2158K and 2158R) will be traveling to Louisville, KY April 23-28 for their World tournament! While we always knew we had great potential, realizing all this greatness in the same month is... expensive. Our mentors are 100% volunteers. And our school district is unable to assist us in reaching our financial goals. We are seeking quick funds for supporting the extensive registration fees and travel costs associated with doing so well. Can you help? Or, perhaps your employer would like to help us? Donations go towards our nonprofit booster club, and we appreciate your support! Thank you! With your help, we CAN do it!!! Note: I am arranging this fund as a parent of a student who is on both the FRC and VEX travel teams. However, all funds received will be donated directly to the booster club to be used toward registration fees for the entire team (not any single student). Direct donations to the booster club are taken on another site. Happy National Robotics Week! 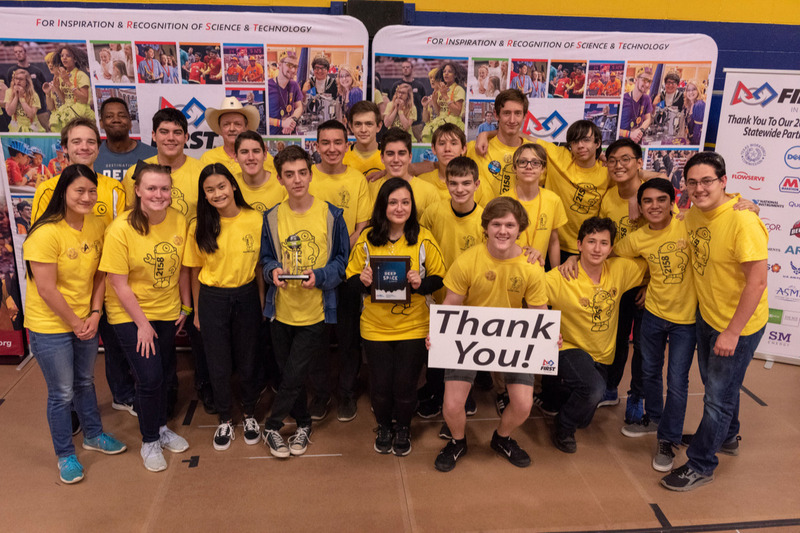 We celebrated by crating and shipping a robot off to competition, very exciting! With your help, we are getting closer to covering the entrance fee for the FRC World Championship tournament happening NEXT WEEK! Tonight, the team will be hosting a parents night out fundraiser which we call Night of the Robots. Team members are also selling car wash tickets generously donated by Arbor Car Wash. Every donation is appreciated!